What are the BFCA and BTJA? Officially, they are not-for-profit business associations, created to advance the art of film and television criticism and journalism and its practitioners. Anyone who reviews movies or TV shows, or regularly reports about movies and/or television and streaming content, for a significant television, radio or Internet audience is welcome to join our ranks. Currently BFCA and BTJA are about 350 members strong. To the public, the most visible part of BFCA and BTJA is the annual Critics’ Choice Awards. Our awards serve an important purpose in the industry, honoring the finest achievements in film and TV and helping Oscar and Emmy voters as well as entertainment consumers determine which movies and shows they must be sure to check out. 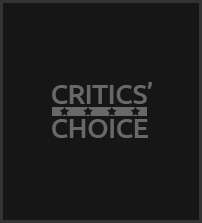 Being a Critics’ Choice voter reflects our members’ strong standing with studios, networks and publicists, and leads to better access to screenings, screeners, DVDs, interviews and junket opportunities. BFCA and BTJA serve another vital purpose in the entertainment industry. Led by membership director Sara Voorhees, working closely with BTJA president Ed Martin, BFCA EVP John De Simio and me, our organizations serve as an invaluable vetting service for studios, networks and publicists. We take this role very seriously and encourage companies to rely on us. If someone is a member of BFCA or BTJA, they don’t need to be checked out any further. Membership in our organization means legitimacy. Multiple times every year, we reconfirm that each individual member still qualifies to be in our widely distributed membership directories. Members generally understand that when Sara is inquiring about your outlet, she is doing so to protect the legitimacy of all of us. Your cooperation is expected and appreciated. A member’s relationship to an outlet can change. We count on that member notifying Sara of such changes, and on her discovering the change during her regular vetting process if the member neglects to do so. That’s the way our system works. What we do NOT expect and cannot allow is for members to express doubt about other members’ credentials to publicists or network or studio reps. If you believe that a member is not being forthcoming about a change in their work or outlet, you may reach out to Sara ([email protected]) and suggest that she reconfirm a member’s status. But speaking ill of a BFCA or BTJA member to publicists or reps is not acceptable. Membership in BFCA and BTJA is a significant professional accomplishment and is often very important to one’s career. We can all be proud to be a part of this club. Our membership policies as outlined herein are designed to protect the organizations and every individual member. Let’s continue to be supportive of our awards shows and each other and together we will continue to advance Onward and Upward! I am so sorry to hear there is a disturbance in the force. We are such a great and passionate group; and our leadership is so effective and has so much integrity that I think I would even donate a kidney if one of you needed it. We say it so seldom but thanks for all you do Joey, Sara, John and the others in leadership.